Kill the Moon was the latest chapter in what’s becoming the Who writers’ formula long-goodbye note to a key character. It was science fiction meets soap opera - watching a dysfunctional family breaking up. 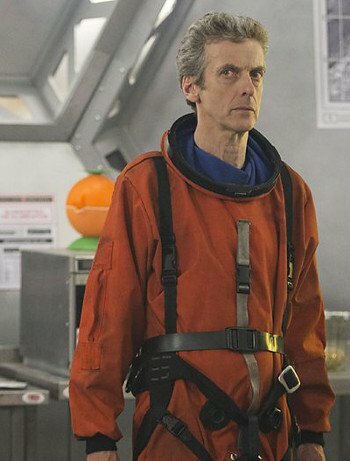 The Doctor had abandoned assistant Clara Oswald on the Moon (with the stroppy and annoying schoolgirl Courtney Woods) to decide the fate of mankind. Back in the 1990s, soaps tackled more Earthly questions, such as where to bury an abusive partner’s dead body. Humans versus the space dinosaur hatching inside the celestial body? Hmm ... Save the creature, wailed Woods – it’s only a baby, and so cute! Oswald agreed. Juggling humanity’s fate while her Time Lord, whom she’d trusted, had removed himself was a massive betrayal — red flagged in the week-before episode. “I nearly got it wrong,” wailed Oswald to the Doctor, before telling her once-lovely Time Lord to clear off, although not before the Doctor had informed his once-doting assistant it was time to grow up “to take the stabilisers off your bike”. There’s no coming back from these words. The sci-fi set-up to this soap opera was incidental: the Moon is changing, killing the Earth. The Doctor and family found the standard spookily abandoned space colony of blue-collar Joes and giant arachnids, just like in Aliens and Starship Troopers. A trio of terminally depressed astronauts you wouldn’t trust to drive a lawnmower, never mind pilot a space shuttle, arrives to nuke the Moon. In accordance with Federation’s Red-Sweater protocol, two got eaten by arachnids. All this soon receded, though, revealing itself as the mere device that was the point-of-no-return for the relationship between the Doctor and Oswald. However, the reason for the Doctor’s leaving wasn’t given: not dabbling with destiny and human affairs? A device to dump Oswald? We know the Doctor’s not a quitter, which makes his reasons unclear and inadequately explained. The best moment was the tense seconds leading up to the pair’s row, as Courtney gets packed off to class by Oswald – you knew it was brewing – and the twitch in the Doctor’s stony face. Is it a spark of humanity, a sudden awareness he may have gone too far this time? Or, unreconstructed bemusement? The Moon and its ancient relationship to Earth have changed forever; so, too, has the relationship between this Doctor and at least this companion.